Route 23 has put together some great Michigan Bus Trip Fundraisers. If you’re looking to raise money for your organization then look no further because Route 23 has raised thousands of dollars for area organizations. The most popular form of bus trip fundraisers are the Casino Bus Trip Fundraisers. There’s no inventory to sell or to haul around. You just give us a pick-up location and all you have to do is fill seats on a bus and make up to $1,485.00! Please take a look at some of the Michigan Bus Fundraisers we’ve developed or tell us about a MI Bus Fundraiser that you would be interested in. One call gets you started: 810-577-8929. Other Casino Bus Trip Fundraiser destinations not listed, but we do include: Hollywood Casino in Toledo, Saganing Eagles Landing Casino in Standish, Four Winds Casino in New Buffalo, Gun Lake Casino in Grand Rapids area, Little River Casino in Manistee, and Odawa Casino in Petoskey. Call or email Route 23 for more information on these Casinos. – Customized Color Flyer to help promote your trip. – Tickets to help you keep inventory of what you have sold. For reservations, please call Route 23 at 810-577-8929. Prices can vary depending on your departure location. **We can adjust minimums to make whatever price works for your group. Keep $45.00 Per Person over 23 paid. Make up to $1485 on a full 56 passenger motor coach. Keep $45.00 Per Person over 27 paid. Make up to $1305 on a full 56 passenger motor coach. **All trips April – June will have the same minimums as Friday and Saturday trips. – Get back $20.00 back in Gaming + $5 Food from the Casino. Keep $45.00 Per Person over 28 paid. Make up to $1260 on a full 56 passenger motor coach. Keep $45.00 Per Person over 30 paid. Make up to $1170 on a full 56 passenger motor coach. – Plus get $10 in Bingo Bucks! Keep $45.00 Per Person over 29 paid. Make up to $1215 on a full 56 passenger motor coach. Detroit Tigers Bus Trip Fundraiser – Now Taking Orders for 2019! **Pricing will vary on ticket location and departure location. – Tickets to the Detroit Tigers game. Call Route 23 Tours today for a Detroit Tigers Bus Fundraiser quote at (810) 577-8929 or email us at john@route23tours.com. Click on the Tigers Logo for more information. If that does not load, please click here. **Call for exact pricing from your area. Keep $105.00 Per Person over 35 paid. Make up to $2205 on a full 56 passenger motor coach. Call Route 23 Tours today for a Chicago Bus Fundraiser quote at (810) 577-8929 or email us at john@route23tours.com. Call Route 23 Tours today for a Wine Bus Tour Fundraiser quote at (810) 577-8929 or email us at john@route23tours.com. Detroit Red Wings Bus Trip Fundraiser – Now Taking Orders! – Tickets to the Detroit Red Wings game. Call Route 23 Tours today for a Detroit Red Wings Fundraiser quote at (810) 577-8929 or email us at john@route23tours.com. Click on the Red Wings Logo for more information. If that does not load, please click here. – Tickets to the Detroit Pistons game. Call Route 23 Tours today for a Detroit Pistons Fundraiser quote at (810) 577-8929 or email us at john@route23tours.com. Click on the Pistons Logo for more information. If that does not load, please click here. If you’re not into Casino or Sporting Events, you can make any one of the Route 23 Tours into a bus fundraiser. We can create bus fundraising trips to Chicago, Cedar Point, and even Shipshewana in Indiana. Call Route 23 Tours today to get started: 810-577-8929 We create Bus Fundraisers originating in cities throughout Michigan and even Ohio. Here’s a general idea of the areas we cover. Don’t see your city on this list? That’s okay. Give us a call. 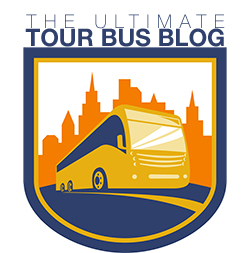 We’ll build a MI Bus Fundraiser itinerary starting from your town!